You are here: Home / LIFESTYLE / Entertainment / Exotic Bets – What Are They and Should You Risk Your Money On Them? Standard horse race betting includes the basic and better known betting types, such as a win or a place, each way bets, quinella and so on. Exotic bets are a little different. Some of them a quite new on the scene and generally these bets come with a higher degree of risk; meaning they are harder to pick and there’s a good chance you’ll just wave goodbye to your money. There is a bright side, though. Because exotic bets have higher odds, if you can get one right, you stand to win some decent money, and potentially some really big money. Unlike backing a horse for a place in a race, which is relatively easy in comparison, exotic bets can be tough to pick, but the potential high rewards for small investments make them an attractive choice for many Australian punters. 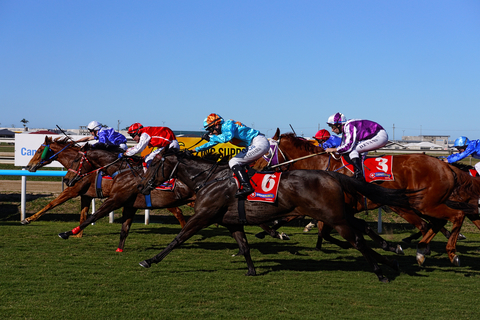 Let’s take a look at some of the more common exotic bets on the Australian racing circuit. This is a really interesting and popular exotic bet. Bookmakers choose 2 horses in a given race. All you have to do to win this bet is pick which horse you believe will finish in front of the other. It doesn’t matter where these horses place in the race. The only relevant point is which one will finish in front of the other. They could come last and second last. It doesn’t matter. So long as you get the order right, you win. This is seriously NOT an easy bet to win, but the payout if you get it right can potentially be huge. Sometimes called the “Pick 6”, the Super 6 requires you to correctly predict all 6 winners of the bookie-nominated races. Generally there’ll be one Super 6 per region, per race day. This is a very popular bet on Melbourne Cup day and no doubt will be again for Melbourne Cup 2019. The size of the prize pool will be determined by how many people are willing to take a punt on the Super 6. Chances are there won’t be many winners, so if you are one of the lucky ones, expect a very decent pay day. The Place 6 exotic bet is very similar to the Super 6, except instead of having to pick all 6 winners, you just have to pick a place getter in all 6 races. Easier said than done, maybe, but this is a bet that’s definitely easier to win than the Super 6. A really cool thing about this bet is that you can choose more than one horse in each race, meaning you have more chances to win, and that’s more cash in your pocket on race day. A MultiBet entails the punter placing bets on a series of races for either a win, a place, or an each way bet. Any winnings from the first bet are then added to the second wager selection and so on until all races have been run. As a punter going after a MultiBet, you’ll receive your winnings on the final bet of the MultiBet. It’s a tricky bet for the inexperienced, but quite a popular one with regular punters who love exotic bets. When most of us think of betting on a horse race, we usually pick a horse we fancy. Well, with Jockey Challenges, instead of choosing a horse, you’re actually choosing your favourite or most fancied jockey. How it works is jockeys receive 3 points for a win, 2 points for coming second and 1 point for third. At the end of the race meet, the jockey with the most points wins. If that’s your jockey, then you win too. Exotic bets add a bit more wagering spice to the race day, giving punters more options and chances to have a bit of fun. Generally exotic bets are harder to win, so the pay off can seriously be worth giving them a try. Happy punting and good luck with your chosen exotic bets.